Many autism experts claim that several types of foods and diets can effectively treat or help children and adults with autism spectrum disorder (ASD). Some autism researchers also believe there is a strong link between the functioning of the brain and the gut. But with the very large number of foods and recommended diets out there, how can you determine what works best for your child and adult family member(s) with autism? In this article, we discuss the various theories, as well as the effectiveness of probiotics or the so-called “friendly bacteria” and diets in helping ease the symptoms of autism. 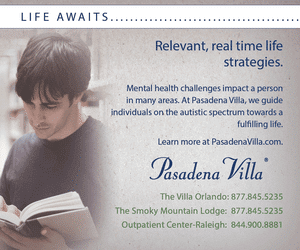 Autism and stomach issues are a familiar combination of children with autism. In their study on autism, researchers led by Dr. Paul Ashwood of the University of California, Davis’ Medical Investigation of Neurodevelopmental Disorders (MIND) Institute identified proofs linking autism with changes in the brain, gastrointestinal (GI) distress, immune dysfunction, and severe repetitive behaviors. According to Dr. Ashwood, they found that children with autism have elevated levels of dendritic cells, which are considered as the ‘generals’ of the immune system. He claimed the dendritic cells serve a key role in the body’s immune response to microorganisms, including the disease-causing germs and normal digestive bacteria. 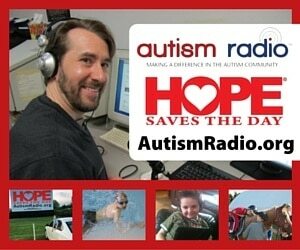 Several scientists, meanwhile, have discovered several rare genetic changes or mutations linked with autism. However, they also found an intricate and different combination of genetic risk and environmental factors affecting the early brain development of a child that further increase his/her risk of developmental delays or autism. Among the most discussed theories include environmental risk factors, advanced age of both father and mother at the time of conception, very low birth weight, maternal illness during pregnancy, extreme prematurity of birth, and difficulties during birth, particularly the times in which the baby’s brain is deprived of oxygen. Based on various studies, individuals with autism often have abnormal digestive health conditions like irritable bowel syndrome (IBS). Kids with autism were also found to have an elevated number of the pathogenic bacteria called Clostridia, as well as the lesser-known bacteria called Sutterrella in their guts. Meanwhile, a number of studies showed probiotic microorganisms have positive effects on the digestive health of both adults and children. These healthy microorganisms are contained in the probiotics supplements that can be used to treat ASD, including attention deficit hyperactivity disorder (ADHD), particularly in children. The US Department of Health’s (DOH) and the National Institute of Health (NIH) claimed that gut health and autism are interrelated. According to the agency, the postnatal development of a child depends largely on the microbiome or the balance of organisms in his/her digestive tract. Every child should have a healthy gut in order to develop a proper immune function, regulate inflammation, and support proper and healthy development. To achieve a healthy gut, the thousands of strains of good bacteria should live in balance with the “bad bacteria.” In the event that the bad bacteria outnumber the good bacteria in the gut, the condition called dysbiosis occurs. A number of autism researchers also consider the presence of an unhealthy gut as a causative factor of ASD, including ADHD. A 2017 study by researchers at The Ohio State University Wexner Medical Center’s Nisonger Center also showed children with autism seem to have a low amount of healthy Faecalibacteria bacteria in their stools. This finding is somewhat similar to the results of various studies showing a reduced number of microbes in the gut of autistic kids. However, the study also showed that the appropriate amount of healthy bacteria in individuals with GI disorders and autism could be restored by consuming a mixture of healthy bacteria that is taken as a powder mixed with food. The researchers are scheduled to assess the effectiveness of probiotics in relieving GI symptoms in autistic kids, as well as its efficacy in controlling the children’s anxiety and oversensitivity to stimuli. For years scientists have acknowledged that many disorders, illnesses, and diseases are impacted by the gut-brain connection. Autism has recently been added to this growing list of disorders that are heavily affected by the gut-neuro feedback loop. The familiar stomachache that comes with nervousness is an example of the brain affecting the gut, but the gut works in turn to affect the brain. In children with autism, researchers suspect that an imbalance of healthy and unhealthy gut bacteria might be contributing to symptoms of autism. This is also considered to be a risk factor for children with autism who have intestinal distress. While leaky gut is not well understood, it is currently defined as abnormal intestinal permeability. In children with autism, leaky gut symptoms might include constipation, bloating, excess gas, diarrhea, nutritional deficiencies, allergies, and exasperation of behavioral challenges. Leaky gut can cause a disruption in the gut-brain feedback loop. The gut-brain connection, autism, and the use of probiotics are being further studied at Arizona State University Biodesign Institute. The study showed a link between the chemicals produced by gut bacteria and the behavior of kids with autism. In their study, the scientists examined the bacterial waste products in the stool samples of the subject children with ASD. They found substantially diverse concentrations of seven of the 50 chemical compounds they identified in the samples. According to study co-author Dae-Wook Kang, the majority of gut bacteria are good as they help in food digestion, production of vitamins, and protection against harmful bacteria. However, if not effectively prevented, the harmful bacteria can release toxic metabolites or disturb a balance in metabolites that can affect the gut and the entire body, including the brain. This autism gut bacteria theory is still being tested, but so far, it is proving valid when tested on mice. Meanwhile, researchers at the Texas Children’s Hospital Microbiome Center in Houston have identified a link between the intestinal microbiome of gut bacteria and GI distress and behavioral issues in children with ASD. One of the key findings is the stool samples from autistic children contained four organisms which were previously associated with ASD. The organisms are the Sarcina ventriculi, Barnesiella intestihominis, Clostridium bartlettii, and Clostridium bolteae. Another notable finding is the presence of the bacterium Haemophilus parainfluenzae in the stool of child with autism during a three-day period in which the child experienced diarrhea, GI pain, and several challenging behaviors, including self-injury. The results of the study were presented by the center’s microbial geneticist Ruth Ann Luna at the 2016 International Meeting for Autism Research (IMFAR). Moreover, medical experts like Dr. Kenneth A. Bock have supported theories linking gut health, brain activity, and autism. In fact, he reiterated the importance of maintaining the balance of the metabolically-active microorganisms in the gut to avoid dramatic neurobehavioral effects on individuals, particularly in people with ASD. Dr. Bock also recommended a change in the diet of people with autism to ensure the complete digestion of the food consumed. He particularly cited gluten- and casein-rich foods as the diet that should be avoided as they are usually not completely digested in a large number of children with autism, as well as those with ADHD. He claimed that gluten and casein create endogenous opioids or brain-active compounds similar to morphine. These compounds may have major effects on brain activity, resulting in unresponsive and inappropriate behaviors in autistic individuals. To prevent these behaviors, Dr. Bock suggested the gluten-free, casein-free (GFCF) diet as a first phase of treatment for people with autism. He further advised the change in diet should be based on the condition of the individual. Proper diet and maintaining gut health may be effective in controlling the symptoms of autism, as well as some GI issues in children with autism like IBS, which is a digestive disorder affecting the large intestine. Among the common symptoms of IBS are abdominal pain, cramping, constipation, diarrhea, and bloating. IBS is mainly triggered by the so-called gastrocolic reflex, which informs the colon to become ready in digesting food. People with IBS often have their gastrocolic reflex activated too early, thus, creating muscle spasms and overactivity that is painful. To effectively prevent this condition, individuals with autism should consume easily digestible foods so as not to activate the gastrocolic reflex as much. These foods are also claimed to be as effective as an autism treatment. In addition, many families have found that using a supplementary probiotic for autism treatment helps to increase healthy gut flora and autism symptoms can sometimes subside. Insoluble fibers are fibers that are much tougher to digest than soluble fibers so it is recommended that they should be consumed in moderation as they are still needed in maintaining one’s health. Among the foods with insoluble fibers are green vegetables like spinach, lettuce, collards, and kale, foods containing whole wheat, wheat bran, and whole grains, fruits like pineapple, green beans, bell peppers, onions, broccoli, cauliflower, and tomatoes. Fat is not recommended for people with IBS because it makes the digestive system work too hard. Individuals with IBS who eat fatty foods usually suffer from diarrhea or constipation. Among the fatty foods are fried foods, meat and dairy products, salad dressings, pastries, donuts, and croissants. Carbonated products such as sodas should be avoided because they may cause bloating and cramps. Soda also contains lots of caffeine which should be off limits. Coffee and alcohol should be avoided because they are known to be GI stimulants. Coffee, in particular, contains caffeine that stimulates the colon. Artificial sweetening products like sorbitol are generally considered to be bad for individuals with autism and those with IBS. Ingredients used to provide texture and stability to certain products like carrageenan and guar gum are also known to cause GI symptoms. Among the products with these ingredients are dairy products like ice cream. Since the majority of children with ASD suffer from GI issues and some form of IBS, it is recommended that they should consume foods with soluble fibers to effectively reduce their symptoms or treat them completely. Two of the most commonly recommended probiotic strains for autism and IBS are Lactobacillus and Bifidobacterium and can be a useful tool in addition to incorporating whole probiotic-rich foods into your child’s diet. Effective in maintaining one’s ideal weight or as a diet to reduce weight when obese. Good in maintaining a stronger immune system. Improve the production of vitamin B12 in the body, thus, resulting in increased energy. Protect the body against cold and flu. Prevent bad breath as probiotics help eliminate or destroy the bad breath-causing yeast called Candida. Maintains a healthy and young-looking skin as probiotics can help prevent such skin diseases as eczema and psoriasis. Helps in preventing and treating leaky gut syndrome (in children with autism, leaky gut symptoms may present as potty training regression, outbursts during painful flares, or an increase in picky eating) and inflammatory bowel disease. Effective in easing anxiety and depression. Can lower blood pressure and cholesterol levels. Can prevent and treat ulcers and urinary tract infections. Although they can be considered as generally safe for consumption by healthy individuals, there may be probiotic supplement side effects of ingesting these live microorganisms. Among the alleged side effects are mild gas and bloating. Some brands of probiotics are claimed to cause overstimulation of the immune system. Other brands are also said to have an adverse effect on the body’s metabolic pathways like carbohydrate metabolism. Individuals who are immunocompromised, seriously ill, and suffering from certain bowel problems are advised to seek their doctors’ approval before consuming probiotics. The live microorganisms are also advised to be consumed with caution by infants, young children, and pregnant women. It is also advised that probiotics should never be given to premature infants. Consumption of probiotics by some types of patients like those with blood in their stools, post-cardiac surgery patients, and patients with pancreatic dysfunction should also be authorized by their physicians. It can sometimes be challenging for families to manage a child’s health as autism can be very complex and there are multiple, interconnected symptoms. However, the various advancements in medical research resulting in the discovery of probiotics for autism, and improved knowledge on the functioning and purpose of the microbiome in the body, among others, are positive signs toward a complete and effective treatment. In the meantime, these new discoveries should be embraced to help children with ASD in managing the most common symptoms and in improving their quality of life. Finding the best probiotics for autism in your child can be a process of trial and error and supplements should be regarded as a medication. For these reasons, using a probiotic for autism treatment should be done under the care of your child’s pediatrician. 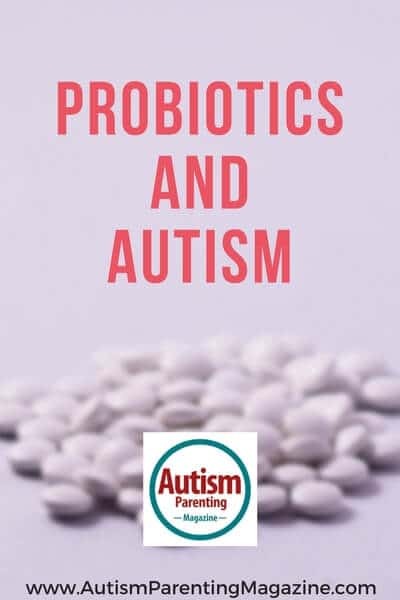 https://www.optibacprobiotics.co.uk/live-cultures/articles/probiotics-for-autism – this resource was accessed on 9/2017. 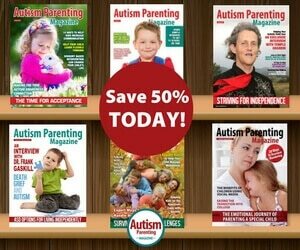 Autism Parenting Magazine tries to deliver honest, unbiased reviews, resources, and advice, but please note that due to the variety of capabilities of people on the spectrum, information cannot be guaranteed by the magazine or its writers. Medical content, including but not limited to text, graphics, images, and other material contained within is never intended to be a substitute for professional medical advice, diagnosis, or treatment. Always seek the advice of a physician with any questions you may have regarding a medical condition and never disregard professional medical advice or delay in seeking it because of something you have read within. They have their cause and effect backwards. The autistic brain has been wired differently through abnormal neural connections. Thinking you are going to undo all the hardwiring and conform them to normal through food is absurd. Publishing this kind of articles makes me understand why the stigma out there exist. I waited until today to read these A. P. Articles I get sent to my inbox. I am shaking my head at the information coming at me! I agree with Bryan Lee. The stigma exisits because society keeps using the word ” treat” autism . There is no “treatment” for autism, there is bevaviour management for symptoms that will never be “cured” through “treatments “. 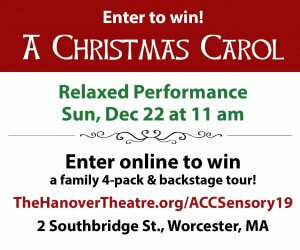 This is my experience of a mom who has a 12 year old child with moderate- severe autism. This child was received IBI therapy in Canada for the last 10 years in addition to speech, o.t. and being enrolled in an autism classroom since kindergarten . By the way, she was diagnosed with Celiac Disease by Sick Kids hospital at age 4. G.I. Doctor says eat a healthy, well balanced diet and no need to avoid casein or dairy or insoluable vegetables . I feel this article just confuses and creates anxiety in parents new to the world of ASD. Always discuss this type of information with a qualified doctor who treats your child before making dietary changes , just my experience. Is there any type of probiotics that you recommend? I am an actual autsitic person you cannot cure us with antibiotics, vaxines, or any of the other rubbish people believe can cure us. We are not diseased we are disabled and the sooner the world accepts that we can do things just as good as the adveadge Joe or better will help me quite a lot. We do not need a specific diet. Scientists are always pointing fingers at us to what they assume will help us telling the vulnerable that this is going to help their child. You are miss informed. Our disability will never go away, it’s part of our brains and how we function we have our own way of doing things and honestly living as an autistic adult myself it saddens me that people are bringing out this garbage to try and sound like they know what helps us but I will tell you the truth it doesn’t. What really helps us is acceptance, respect, and understanding. The gluten and casein-free diet is now being supported by recent scientific research. Unfortunately, many family doctors and nutritionists are not up-to-date with research findings, so do not pass this advice on to families. Some of the research findings appear contradictory, but point to a wholesome approach to diet. I believe Dr Bock advocates pesticide-free organic foods as well as GFCF for children with autism. As a parent of a child on the spectrum, I know that it can be extremely difficult to persuade your child to try any new food,particularly if they are ‘addicted’ to dairy and wheat products, but with patience and persistence it can be done. The human ‘biome’, the bacteria in the gut, are being found to have huge significance for good health in the general population, so including fermented products that contain a variety of health-promoting probiotics in our children’s diet is also likely to benefit them. Modern neuroscience is discovering the amazing capacity of the brain to change. We are what we eat, in so far as our nutrition impacts on our body’s general health and well-being. A diet high in sugar and refined carbohydrates does not enable anyone’s brain to work to its maximum effectiveness. Clearly gut health does affect brain health and day-to-day functioning, as well as the brain’s capacity to grow new connections, learn and change.